The ‘stolen generations’ issue has been a focus of Aboriginal reconciliation in Australia for many years. 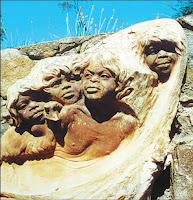 To bring this issue to attention, plans for a Stolen Generations Memorial at Mount Annan Botanic Garden, located in south-west Sydney, were instigated in 2003 as a partnership between Link Up New South Wales, the NSW Stolen Generations Committee and Botanic Gardens Trust. Located in beautiful natural woodland, visitors will experience the Memorial as a journey of healing and reflection, as they walk through the forest via a series of impressive boardwalks leading to a peaceful meeting place with water and a sculpture space. Work on the project has progressed steadily in the past few years, and has involved Aboriginal trainees as part of their Certificate III in Land Conservation and Management. Stage one of the path and boardwalk construction is now complete and provides access to the sculpture space. 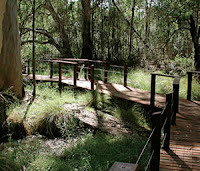 The main structural timber for the boardwalk was generously donated through an arrangement with Forests NSW, NSW Forest Products Association and Merbein Sawmills. He illustrated a book called "Nourishing Terrains" ~ Australian Aboriginal Views of Landscape and Wilderness ~ by Deborah Bird Rose pub. 1996. Somehow, there is an Autumn mystique in this healing place. Now that Prime Minister Kevin Rudd has offered a formal apology to indigenous Australians in January 2008, it is more than time to tread the boardwalk of healing. Finding shapes of substance in water has a liberating cleansing feel, like the mystical whispers of autumn colours and breezes. The winds of change scurry round the deep corridoors of yesterday's dust, brushing breathing space into congested lungs. Origin and Introduction:Passion Flower, whose genus name is passiflora, is a naturally grown medicinal herb, approved by the German Commission E in the treatment of insomnia and nervousness. It is also used as a sedative in nervous disorders (including gastrointestinal complaints of nervous origin), difficulties in sleeping, and anxiety or restlessness. 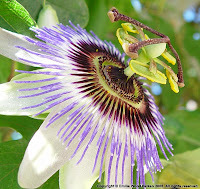 Passion Flower reduces spasms and depresses the central nervous system. Habitat:The plant is indigenous to an area from the southeast U.S. to Argentina and Brazil. The name Passionflower refers to the passion of Christ: the 3 stamens represent his wounds, and the 12 petals represent the apostles. Passionflower fruit is sweet and aromatic. Western Australia is leading the nation in the search to develop clean, 'zero emission' fuels from renewable resources by providing major funding for one of the world's first major trials of hydrogen fuel cell buses. The Department for Planning and Infrastructure is leading a two-year trial of three Daimler-Chrysler hydrogen fuel cell buses on normal Perth suburban routes. The trial is due to end in September 2006. Partners in the venture include one of the world's leading energy companies. Seawinds is a magical garden on top of the mountain known as Arthurs Seat. It is a haven on the Mornington Peninsula in Victoria, Australia; a haven where I love to wander for time out to nourish time in. Early, on a recent Sunday morning, I wandered here again. I chose the secret, rocky,winding track into the gardens. The main car park just beyond a sprawling, yawning gateway somehow looks so commercial. And just beyond the carpark is a supermarket line up of barbeques. For me, it looks like a stopping place for hasty time travellers. I prefer a simple, long, timeless walk into this whispering garden. I quietly opened an aching, tiny, peeling silver gate. And ambled down the dusty track. Trees seemed to move closer and closer, making the track appear more fragile than ever. At last I reached a little wooden bridge, leading into one corner of the garden. As I stepped on the first wooden planks, a head popped out from behind the bushes ahead! It was a tiny grey wallaby, busy with breakfast nibbles. Drawing closer, I found this was Mum wallaby; for baby was nibbling not too far away on an expanse of grass. Mum moved just a little. I chatted on to her, wishing her a good morning and hoping she had a wonderful day. I am sure she understood, because she just seemed to intently watch my face, while still nibbling of course. I passed close by her, and sensed just a little wariness, but mainly there seemed to be a lithesome bond of morning delight. Baby ignored me completely. I kept walking, but smiling now. I felt I shared the joy of a moment; an intimate encounter with time in nature's zone. The next wander past the shaded lakes, rose and fern gardens and countless rocky steps became a bit of a blur. I still carried that first moment. But I was headed for a special rocky wall where a few of William Ricketts' spirits were sculptured (see pic) No matter where I chose to wander in these gardens, always this particular spot was an essential stopping point. I loved to feel this man's dream of souls uniting across the oceans of time. For him, the reality of time is the eternal soul, like some huge cosmic heart, always pulsing, always breathing a purpose into life. I felt it was time to return. The breezes were freshening, and there was a distinct aura of grey rain in the air. Of course, I returned via the wallabies. And there she was! Lazily nibbling on a small grassy hill! I voiced another good morning to her! But she just glanced my way, and then turned to watch her baby. I felt a little disappointed, but maybe I was interpretting her reaction the wrong way. Perhaps, she had decided I was no threat! Just another piece of nature's time and space. I should feel special! Again, after leaving her, the gardens became a blur of passing colours and swaying greens. But I suddenly realised my feet were hastening a little more. Subconsciously, perhaps, I could feel the presence of storms. Yet the sky was just a mist of greyscale clouds! I felt somehow highly tuned into the cycles of Nature, feeling her desire to travel on. Travel on! I had to travel on! I had to travel back to travel on! Time out is time in, fuel for the hungry time traveller! I am quite excited about discovering some new links. In particular, via Cricket's Hearth delightful blog, I found "One World One Heart". That led me to Magpie Girl's Passionate Blog and what a world that opened too. So a comment on each! As a result of my wanderings in One World One Heart, I would like to offer a poem to anyone who needs one. You may be troubled, sad, lost. You may like a poem for some special celebration or memory. Whatever the need, I offer you a poem written just for you. Leave me a few details, so I may "tune in" to you, and I will write you a special poem. The offer remains open ~ any time! 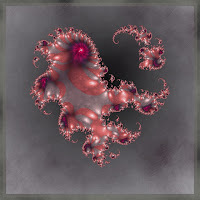 Cricket's Hearth - Strange, but her posting on my blog says she won't write poetry again after reading my poetry. More strange, her writing, whatever she writes, always sounds beautifully poetic. Check it out! I don't think she can escape poetry! Seriously, her blog is a beautiful wander through a range of feelings and ideas. Her posting on "Holding Hands" is just pure magic! And poetic! One World One Heart - This is just amazing. To quote: I created this event in 2007. The original idea behind this giveaway event was to bring bloggers together from around the world who may never ordinarily meet. It closes the gap of the blog community and enables us to interact, discover new and wonderful people, and in the process possibly win a prize or many prizes along the way. Last years event had roughly 85-90 participants and many connections were made because of it......friendships that are still going strong a year later.We had a strong showing the first year for sure, and now this year(2008) we have just about tripled. Passionate Blog - I now want to join this "Small is Beautiful" community. Hopefully, the description of this blog suits the ideas there. Perhaps now is a good time to reflect on just how this blog is evolving. I submitted: Greyscale Territory is that blurry space between visual landscapes and dreamscapes. Poetic wandering is a luxurious sprawl in the world of spiritual and hard knock musings. It is a time to face the raw reality of dreams and hopefully pen some inspirational songlines for anyone to sing. Hopefully, that sums up the inner and outer landscapes here. Especially love the overall concept of this community, binding the beautiful ideas of other bloggers into one caravanserai on the Bloggers Silk Road. (Stay tuned to small is beautiful Saturdays at www.Magpie-Girl.com for featured passionate bloggers, drawings, and other lovely happenings. Welcome to the neighborhood!) And indeed it is a welcoming place. I would feel honoured to be a part of it. I used to wonder why it took so long in my travels through life to find one I would call "my love". That sounds so soppy and sentimental. Maybe it is. But now, I have a new way of looking at the spectrum of where I have been. In my saddest moments, I have learnt to be strong. In my darkest midnights, I have learnt to find the hint of light creeping under some far doorway. When I have felt lost, I have found the key to knowing my place in time was right there within me. So now, now that love has found me, (when I finally learnt these truths), I am simply glad I was in the right place at the right time for the surprise of love. Just as it should be. There can be no greater love than a love given is a love given back. Happy Valentine's Day Big Bear! The island of Nauru would have to be one of the saddest places on earth. Once called Pleasant Island, this tiny piece of humanity, the smallest republic in the world, is now anything but pleasant. Over the last 90 years, phosphate mining, mainly by a UK, Australia and NZ consortium, has left 90% of Nauru, a heartland wasteland. Nauru is one of three phosphate rock islands in the Pacific Ocean. (The others are Banaba (Ocean Island) in Kiribati and Makatea in French Polynesia which is only 53 km south of the Equator). There are limited natural water resources here, so roof storage rainwater and an aging desalination plant are required. This is to supply a population of 13,528 (July, 2007). There is no arable land or crops. The only other natural resources are coconuts, bananas and fish. But Nauru has recently been hit with another curse, couched in a blessing. Since 2001, Australia has used Nauru as a detention camp for asylum seekers. It was part of the "Pacific Solution" immigration policy introduced by the then Prime Minister John Howard. The new Prime Minister, Keven Rudd, has now ended this practice. For the 21 Sri Lankan refugees detained there for the past 10 months, this is good news. Now, only Christmas Island, in the Indian Ocean, will be retained as a detention, processing centre. However, Nauruan officials do not see the news as good news. With the loss of 100 jobs, about 1,000 people's lives will be impacted. There is simply no other alternative work available. Nauru gained independence in 1968 and, in 1999, joined the UN as the world's smallest independent republic. But independence is but a "paper status". Australia has been heavily entangled in phosphate agreements, and so tended to to be a weighty manipulator of the Nauruan economy. That is, until the supply of phosphate all but dried up. Now the huge question remains. Is Australia responsible for Nauru's future? Surely, to take the the life blood of a people means you are responsible for any future blood transfusions? Admittedly, aid was given in the late 1990's, but a lot was squandered by the prevailing government. But surely, when there are people struggling, a blind eye cannot be turned. Nauru has internet connections. Is there some way work on the internet could be a prime resource - separate from gtovernment intrusions? Maybe Australian companies could offer work? I certainly hope there is some way Australian aid agencies add Nauru to the list of needy nations. No real mother would abandon her children, would she? For some strange reason, I have always been fascinated with odd rock formations. This one is pink granite, 700km northwest of Adelaide, South Australia. It is in the middle of a hayfield and nick-named Murphy's Haystacks. Why I have thought of rocks tonight (when it is currently gently raining outside in the darkness) I have no idea. Perhaps it is just all part of a yearning for security, and rocks symbolise a grounded earthiness. I don't know. Somehow, these particular rocks remind us that Australia has one of the oldest landscapes in the world because it is not subject to volcanic explosion, avalanche and even earthquakes are somewhat limited. In other words, our landscape is more stable than most. What we see is weathered by the winds and rains of time more than anything. Perhaps my thoughts are still linked to that tatty letterbox I saw on last night's walk, stubbornly resisting all manner of challenges; re-shaped, but not broken. ~ After a few more thoughts, one rock looks so much like some solar disc, turned to the journeys of stars. Almost like a face turned up, waiting for some celestial answer. Have you ever felt really fragile. When you feel hard work, strong dreams and goals somehow crumble under the weight of "enough is never enough". I had one of those long moments today. Money is always a looming issue with us, ponderous like a waiting storm cloud. We try so hard to be positive, but sometimes it seems being positive only stalls reality. It has to be faced sometime. 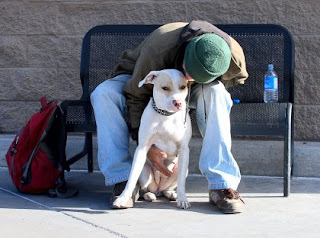 Once, we both owned our own homes, but we both lost everything in tragic circumstances. But we found each other; we are the ultimate strength for each other. But right now, I just don't know what to do next. There has to be a way, some miracle. I honestly believe it is out there somewhere. So, after a heavy day at school, and thinking retiring to live my dream as a writer just seems further and further away, I decided to simply walk in the evening light. The air was scented with storm and sharp sunset light. It felt invigorating. The street was quiet. I could just see glimpses of the bay far below my mountain. I ached for a miracle and almost felt an involuntary prayer escape me to the skies above. And as I walked I felt a kind of hush seeping through me. It may have been the roses in the gardens. It may have been the whispering greens of pittosporums that seemed to brush close by me. But I felt the aura of a blessing circling round and over me. And then I saw a thin, tatty letterbox. Clearly, it had survived violent mountain weathers and still was standing, stubbornly. It almost seemed to be stating, "I will be here". I smiled. It was the first precious smile in my day. ~ An angel bringing a gift in the form of a humble letterbox! ~ I am still smiling! News job plan for real royal reporter - a headline from today's "The Age". Work experience for Prince William in the armed forces may be followed by some fourth estate experience in the newsroom next year. Of the British papers, it appears the "Daily Mail" has some rather prickly views of William's father, Prince Charles; "The Independent" and "Financial Times" sidestep the royal arena. Prince Charles' press officer edits "The Times" and"The Daily Telegraph". That leaves "The Guardian" without some royal connection or disconnection. But I wonder, are the royal groomers perhaps looking too close to home? If royal schooling is iced with a "Down Under" experience - at Timbertop for Prince Charles - why not give work experience a royal flush Down Under?? Agreed, royalty and its trappings are not held in high esteem in Australia. But conversely, neither is royalty completely dismissed as an oddity either. After all, we have followed closely in the footsteps of our own Tasmanian Mary uplifted to Princess of Denmark. She is a pretty headliner in the news that we love to follow. We may not like the British royal rule of our country, but we still like to watch the growing years of Princes William and Harry. We all adored their mother Diana. It is as if we like to keep a motherly eye on her children for her. In that spirit, I believe we would welcome William Wales, reporter. He would find a greater media comfort zone here than back home in London. We would enjoy firstly his youthful views which happen to be, secondly, from a royal perspective. And all the time, we could not help but see Diana in him. Further, it would give Prince William some breathing space from the British media. Maybe distance may make the media heart grow fonder and a little more tolerant? Now, I wonder which newspaper? Perhaps "The Australian" may be the politically correct choice! It is a national voice! I can see it now: "Prince Will Wire Home"! As if your absence now concluded long ago. February Project: In the Northern Hemisphere, February is the month of hearts and flowers, groundhogs, candles, and hope for the coming spring. In other parts of the world, of course, it comes with different meanings and traditions. Rather than making the theme for this month specific to Valentine’s Day, then, it will be a celebration of love, with a bit of hope for spring tossed into the mix. Comment: In the Southern Hemisphere, February is the month of hearts and flowers, dancing dolphins in fading summer waters, candles, and a memory of summer play. It is a time to celebrate the bond of love that asks no questions and needs no answers. It simply is. Option Four: Can You Picture That? Use the following photo to inspire an entry in any form - fiction, essay, poetry. Please copy the photo to your own server if you want to include it in your post. If you respond to this prompt, please copy the image to your own server, and credit the photographer Beverly Lussier. A few weeks go, I decided to wander down a rough, dusty track near my home. Many times I had driven past this small detour known as Eaton's Cutting and promised myself, one day, I would go down there to have a look. Where did it lead? My curiosity was heightened when I chanced upon a book about the early days of Mornington Peninsula, in Victoria. Apparently, this track used to be the "old" way down from Arthur's Seat (the only mountain on the Mornington Peninsula) to the seaside village of Dromana on Port Phillip Bay immediately below. And so, on a warm afternoon, a trip to Eaton's Cutting was on the "poor man's entertainment agenda". The first stage of the track was a sharp climb past tightly overhanging eucalypts. But once the crest of this "hill" was reached, an amazing world opened. The first surprise was the track levelled out, with overgrown driveways leading to homes scattered on surrounding hillsides. The homes numbered about 4. Many had olde worlde vegie gardens which opened out into tiny vineyards, tumbling down the mountain. But the track continued to what seemed to be a little everglade, a clearing, surrounded by a wired fence and a tired old, locked gate with a sign stating this was a fire trail; only authorised vehicles could enter, but walkers could travel through with caution. As it was the peak of the fire season in Australia, caution won the day and we chose to stay in the clearing. Slowly we walked around it, feeling the hum of a late summer afternoon in bushland. And then the magic began! ~ a large house, on stilts, whispered through the trees. It was made of glass and stone. No curtains graced the windows. You could see brightly coloured bunk beds roughly made. Bare wooden floors. And not a soul there. Yet a rather crumpled sign along the fence declared this was a research centre and no admittance was allowed. Curiouser and curiouser. ~ and birds! Countless birds wheeled above us! Some seemed to dive close to our heads. Bright reds and blues and greens of rosellas flashed all round us. Snowy white cockatoos circled and circled - the official "squawk squad"! So many birds! We had the feeling not too many of the human variety travelled this way! 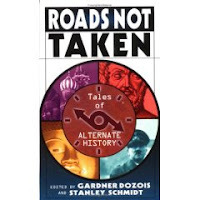 A kind of lost silk road? 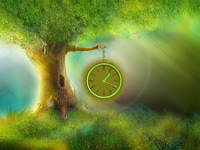 It seemed time, old times and old lives, were locked in the secrets of the trees and the small patches of sky overhead. We could feel the life of yesterdays murmuring invisible around us. It was like we were closely connecting with the very pulses, the heartbeat of earth! Here was a sanctuary ~ to muse on where have we been and where are we going! A lovely way to give today a purpose, in the light of yesterday! Strangely, even as I tell this story, I can still feel the magic of that priceless moment! And more strangely still, I never did see that panoramic sea view I expected from such a height! I guess the closeness of trees, earth and quiet living was far more important!